Arsenal suffered another setback in their Premier League campaign after they were unable to find the back of the net at the Reebok. 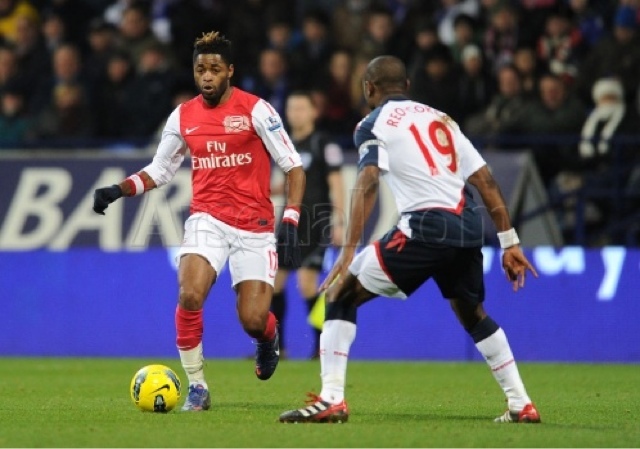 Arsenal had many chances and so did Bolton but it ended in a goalless draw. 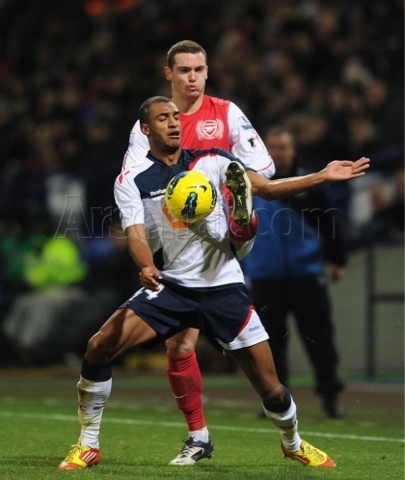 It was a good point earned for Bolton but it was a damaging draw for the Gunners. Arsenal had a bagful of chances against Bolton but couldn’t really score. The likes of Chamberlain, Ramsey and Walcott all shot wide of the goal because of getting really excited or tensed. Arsenal could have easily won the game 5-0 or something as it was a good performance from the gunners though the problem was the finishing. Gervinho who is out for the Africans cup of nations signed for Arsenal during the summer after the loss of Fabregas and Nasri. Gervinho, to be honest is a creative player with a lot of pace. He has got himself many assists and even goals. Arsenal really miss him and need him back. Rosicky, Henry, Park, Arshavin, Benayoun – These were all the attacking options Arsenal had on the bench. All these players are world class but they don’t seem to be an impact player. Arshavin is going through a bad run of form, Henry can finish well but he doesn’t have the pace that he had 6 years ago, Park lacks Premier League experience, Rosicky hasn’t also picked up form since his injury and Benayoun is alright. There is no one who can really come on and change the face of the whole game. It has happened a couple of times though, once when Benayoun came on and grabbed an 86th minute winner against Villa and once when Thierry Henry came on to score a typical Henry on his first appearance against Leeds. We really need some one who can impact the game. Szczesny 6- Had a good game with a fabulous save from Mark Davies in the closing stages. Did some errors in the first half but luckily didn’t concede. Vermaelen 6- Nice defending from him and he was playing like a proper full back. I would prefer playing him there over Gibbs and Santos. His crosses were absolutely amazing. Koscielny 7- another good performance from him. He has been very consistent this season. Mertesacker 7- This was his best performance so far in an Arsenal shirt with just getting one offensive and defensive error. Otherwise, the German was just pure class. 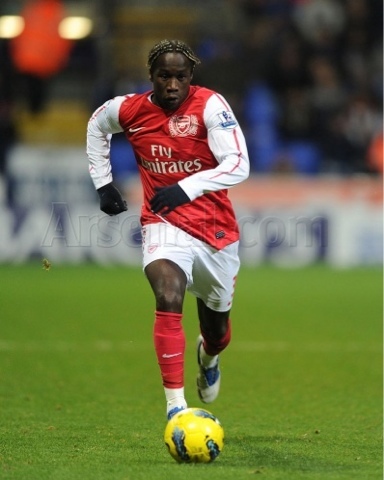 Sagna 7.5- Every Arsenal player alongside Wenger was happy to have him back. Marvelous defending and attacking from the Frenchman. Excellent performance from him. Song 6- Was lucky to get away with a booking. Played alright as usual. 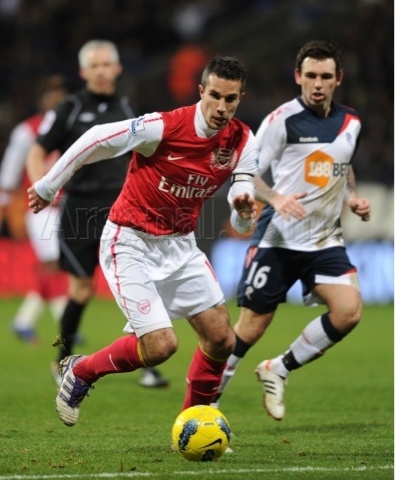 Arteta 7- Started for Arsenal after a long time due to injury and played his commanding role perfectly. The rotation and stuff was good. Ramsey 6.5- Good game for him. Could have scored in the opening stages of the match but overall nice performance. Chamberlain 7.5- An electric performance from him. Played those little balls tearing the defense apart and was involved in every Arsenal attack. Also made continuous runs down the wing with putting in dangerous crosses. Walcott 6- With his second half performance against Aston Villa, every Arsenal fan thought he would continue that in this match but all we saw was him making those repetitive errors. Almost scored his 4th goal of the season but couldn’t place it past Bogden. Poor performance. Van Persie 7- he was fantastic as ever. Got denied by the post twice and both of his efforts were fabulous. Was unlucky not to get a goal. Nice performance from the Dutchman. Points dropped once again. Arsenal haven’t won any Premier League match in 2012 and would want to end that this Saturday against Blackburn. Wengers Replacement : Eddie Howe ? Arsenal FIFA’13 Official Player Rating. Do we support a ‘Galacticos’ project at Arsenal? Some Spontaneous Musings of a Gooner! Cannon Fodder: Caught Somewhere in Time…. What awaits us at Villa Park?